Are arctic coasts different from coasts in temperate and tropical regions? There’s a lot of arctic coastline and it varies a lot along its length. Studies have shown that there ARE differences between how quickly the coast changes in the Arctic as compared to the rest of the world. And the fact that climate change is most rapid in the Arctic means that arctic coasts are probably changing most quickly. Since the circum-arctic coast spans many nations, an international group of researchers organized themselves around the topic of Arctic Coastal Dynamics to co-ordinate their research. We talked to Volker Rachold at the International Arctic Science Committee to learn more about the Arctic Coastal Dynamics (ACD) group. How did the ACD group get started? Using his connections to the National Science Foundation, Jerry Brown, who has been a central figure in organizing permafrost research around the world, succeeded in acquiring funding for an Arctic Coastal Dynamics Workshop, which was held in Woods Hole, MA November 1999. The workshop brought together an international group of permafrost researchers interested in Arctic coastal processes (Photo) and it can be considered the real kick-off for ACD. What did this first ACD meeting accomplish? High-latitude coastlines in both polar regions are exceptionally sensitive to climate warming by virtue of their distinctive geological, cryological, and environmental conditions. Accelerated sea-level rise and thermokarst activity combined with reduced sea-ice extent and more energetic wave climate in latitudes where climate warming is most pronounced pose unique challenges and create significant vulnerability for human communities and living resources in the Arctic. These impacts and associated adaptation requirements deserve recognition in the Third Assessment Report of the IPCC and action by national and international bodies. Quantification of climate-change impacts on high-latitude coasts requires a concerted international data synthesis and mapping effort to locate and document the extent of sensitive Arctic coastlines. This will also serve to identify regions of deficient knowledge where more information and an enhanced scientific effort are needed. Recognition of impacts requires measurement of past, present, and future rates of change in shoreline position and biophysical processes, for which an appropriate network of representative indicator sites and a long-term, funded, monitoring program are essential requirements. The global carbon budget is sensitive to rates of carbon release from coastal erosion and rates of burial in marine shelf sinks. Quantifying these exchanges as well as threats to cultural heritage resources, infrastructure, sensitive coastal habitats, and contaminated sites requires a coastal mapping and monitoring effort to locate and measure erosion susceptibility, vulnerability, and rates. Include a community-based monitoring protocol in the general coastal dynamics research design. Identify the need for a synthesis of fluvial sediment inputs to the Arctic shelves and basins. How did that first meeting turn into a productive long-term project? As a follow-up of the workshop, it was again Jerry Brown who approached the International Arctic Science Committee (IASC) to see if they would be interested in providing initial support for an ACD project. They were, and IASC decided to provide travel support for a small group of experts from Canada, Germany, Norway, Russia and the US to develop a Science and Implementation Plan. 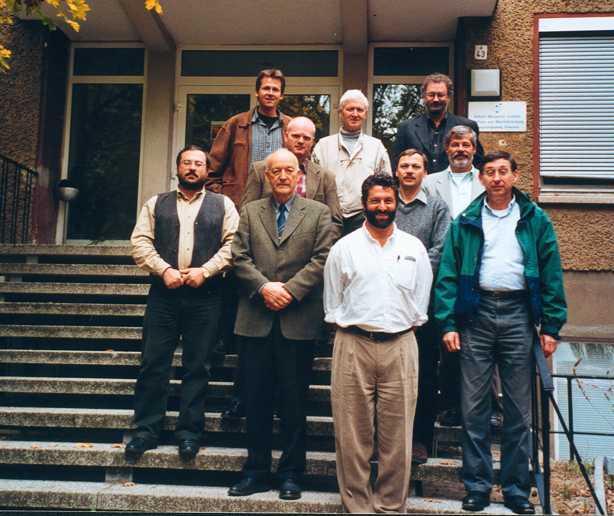 Hans Hubberten agreed to host the meeting at the Alfred Wegener Institute in Potsdam, October 2000 and, being in charge of AWI´s Arctic coastal research program in the Laptev Sea, I was asked to chair the meeting and to lead the development of the Science and Implementation Plan. IASC was very pleased with the plan and invited me to present the project idea to its Council at the Arctic Science Summit Week (ASSW) in Iqaluit, March 2001. That presentation was well received and ACD became an IASC project with an annual budget from IASC and an annual presentation at the ASSW. IASC is not a funding agency and the financial support was very moderate. However, it was enough to hold annual ACD workshops and it triggered financial support from various other sources, in particular to involve a growing number of Russian scientists. As a consequence the number of participants increased from 10 at the first workshop in Potsdam (Photo) to more than 40 at the 2004 workshop in Montreal. Over the years many of the recommendations of the 1999 Woods Hole meeting were addressed. 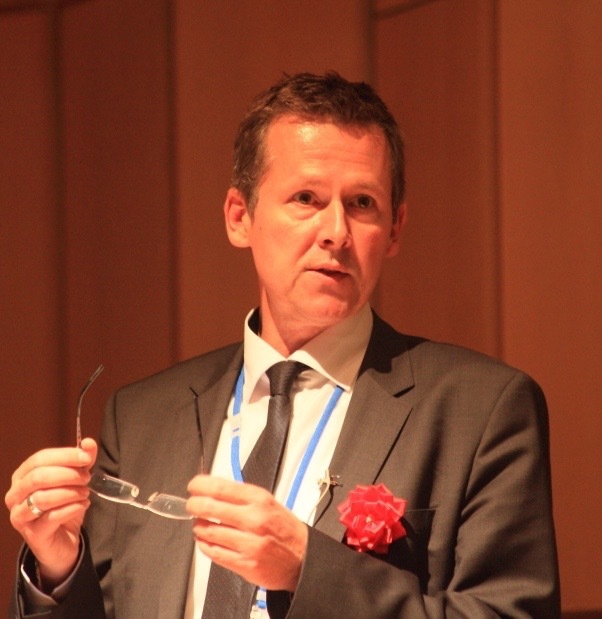 Dr. Volker Rachold is the Executive Secretary of the International Arctic Science Committee (IASC). His functions include guiding and overseeing IASC´s activities, representing the organization on various international committees and at international meetings, facilitating the planning and organization of the Arctic Science Summit Week (ASSW) and other international conferences, directing IASC´s communications and managing the IASC Secretariat. Dr. Rachold graduated as a geochemist from Göttingen University, where he also obtained his Ph.D. in 1994. Before moving to the IASC Secretariat in Stockholm in 2006 and in Potsdam from 2009, he worked with the Alfred Wegener Institute for Polar and Marine Research. His research focused on land-ocean interactions in the Siberian Arctic and he led several land- and ship-based Russian-German expeditions. He is author and editor of numerous scientific papers and serves as a reviewer for scientific journals and funding agencies.